“The largest Kia car in history!” - the company's corporate announcement does not skimp on superlatives. And if you do not take into account the trucks and buses, it is absolutely true: the Kia Telluride crossover, officially presented at the Detroit auto show, is larger than the frame old man Kia Mohave. 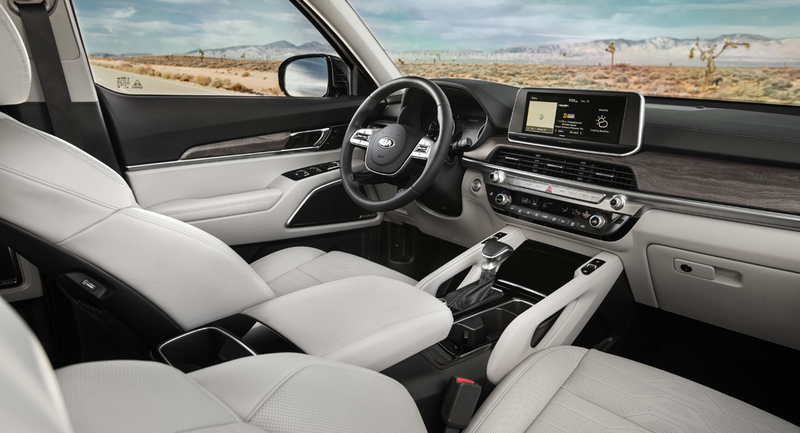 Moreover, Telluride is even more than the Hyundai Palisade platform platform SUV, which premiered according to the seniority of the brand a month and a half ago. With the same wheelbase (2900 mm), Telluride is 21 mm longer (5001 mm) and 14 mm wider (1989 mm), although the parity of both cars is 1750 mm. Spacious and the trunk: for the third row according to the American method of EPA, Telluride has 595 liters (against 510 liters for Hyundai), and for the second - 1302 liters (plus 5 liters). However, the chassis is identical: working on the Atkinson cycle aspirated engine V6 3.8 GDI (295 hp), eight-speed "automatic", front-wheel or four-wheel drive with electro-hydraulic clutch, McPherson front suspension and multi-link rear. However, the appearance of Telluride is more brutal: the design of the car was created in Kia's own style center in Irvine, California. With similar architecture, the interior (it can be seven or eight seats) also hints at the brutality: what are, for example, handles on the sides of the transmission selector. Although you can hardly call a luxury salon: “polished metal” and “wood” are made of plastic. However, American buyers, for whom the car is designed primarily, will be more comfortable with comfort. For example, a projection display, ceiling nozzles of the climate system for the middle row, six USB sockets (two on each row), Bluetooth for two smartphones at the same time, a driver's microphone for communicating with the passengers of the gallery, the audio speaker mute function at the back rows of seats hooks for bags in the cabin. 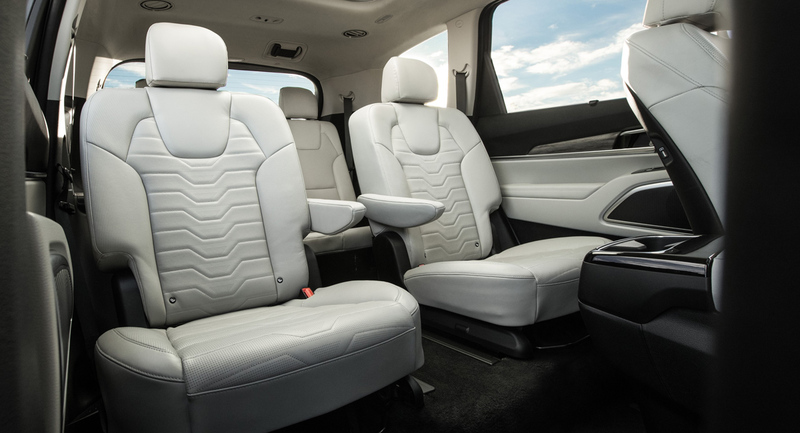 Telluride is also richer than all other Kia models equipped with security systems. In addition to the already established set of electronic assistants, the crossover also has systems for preventing collisions with passing vehicles during rebuilds and automatic braking when leaving the parking lot in reverse. 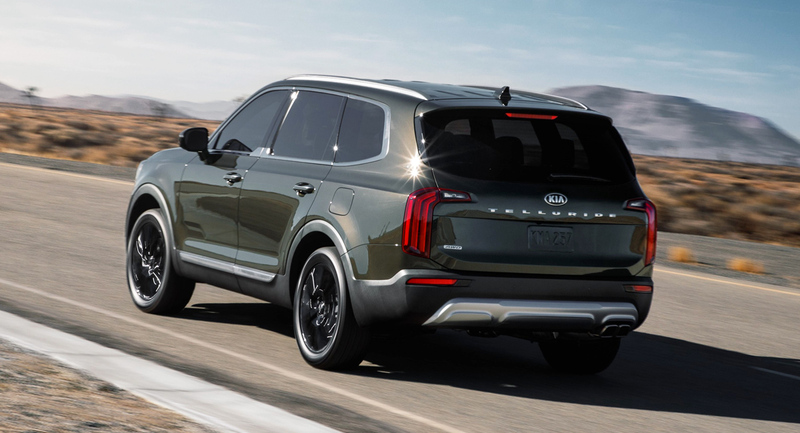 In addition, Kia Telluride can independently keep in the flow, move in the middle of the strip at an equal distance from the marking and adjust to the speed limits. 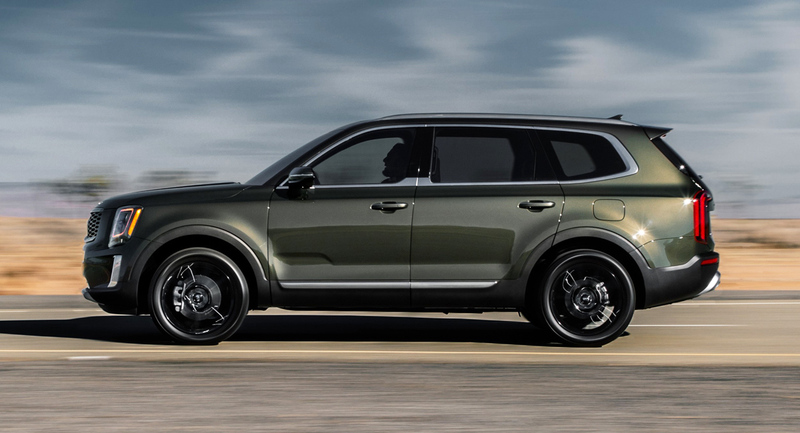 The Kia's largest crossover will be available in four trim levels, and will be launched in the United States, at the plant in West Point (GA), side by side with the Optima and Sorento models for the local market. Prices promise to announce shortly before the start of sales. Most likely, Kia Telluride will appear in Russia, but not before 2020.